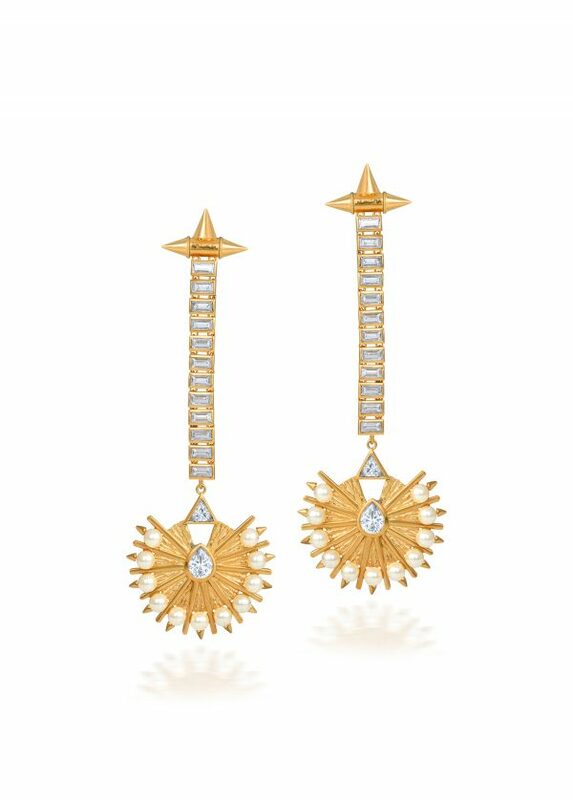 The Ibtida Earrings is a pair of 18 karat gold plated drop earrings with pearl and stone detail, set in textured metal. STONE: Baguette Cut Cubic Zirconia(CZ); Triangle Cut Cubic Zirconia(CZ). PLATING: 18 karat gold on base metal.